Tetsuya Mizuguchi lends his magic to a classic to make one of the most amazing experiences ever. Every so often, some of your favorite things find a way to come together to create something extraordinary. That’s exactly the case with Tetris Effect, as I’m a huge fan of Tetris and Tetsuya Mizuguchi games such as Rez Infinite and Lumines. Those who enjoy any of those titles like myself will want to experience this amazing effect of a game for themselves. Just about everyone knows about Tetris in some shape or form (pun intended): you guide different shaped falling blocks down the screen and place them together to make lines with no spaces in order to make them disappear, score points, and keep them from stacking too high. SEGA took this awesome game and combined it with another popular Japanese title, Puyo Puyo, in another fun puzzle game I reviewed last year. There’s also a new “Zone” mechanic, where you can stop time and freeze the pieces from falling to help you get out of a bad situation, or it can be used to rack up line clears for bonus rewards. This is a pretty sweet addition to this game that makes you re-learn how to play Tetris, and you’re able to place pieces into a cue which also gives another layer of strategy to work with. Now we get to see and hear what Tetsuya Mizuguchi feels Tetris should be like, and if you’ve played any of his mesmerizing titles such as Rez or Lumines, than you have a pretty good idea of what to expect. To say he’s turned Tetris into an experience is a huge understatement, as you’re constantly surrounded by haunting and moving music, sounds, and images. You know his games are magical when the music and sounds he uses open up your horizons and push you to enjoy new types of music you never realized existed or that you now like because of his games. You’ll have to do your best to place the puzzle pieces and not let the magical feels take over and interfere with your strategy, and they will, as the only gripe I have with the game is also its biggest strength. The dazzling imagery will often distract you while you play, especially if you’re not playing in VR. Did I forget to mention this is also a PlayStation VR title? That’s right, as if your senses weren’t already overstimulated, you can take it even further with the PSVR headset and really lose yourself into this music filled masterpiece. This is definitely the case with the “Journey” mode that has you playing all sorts of lovely looking and sounding stages as you make your way through a connected grid that ties all of the stages together. There’s other modes such as Marathon where you have to clear 300 lines as fast as you can, and a Sprint mode that has you trying to clear 40 lines before the timer expires. A fun new mode called Purify was a pretty good time for me as you have to clear infected tetris pieces off the play area. There’s also an All Clear mode where you’re given a handful of pieces to use in order to clear a partially filled in area that can be quite the challenge as it goes on, and a few other ones that’ll keep you playing for a long time. 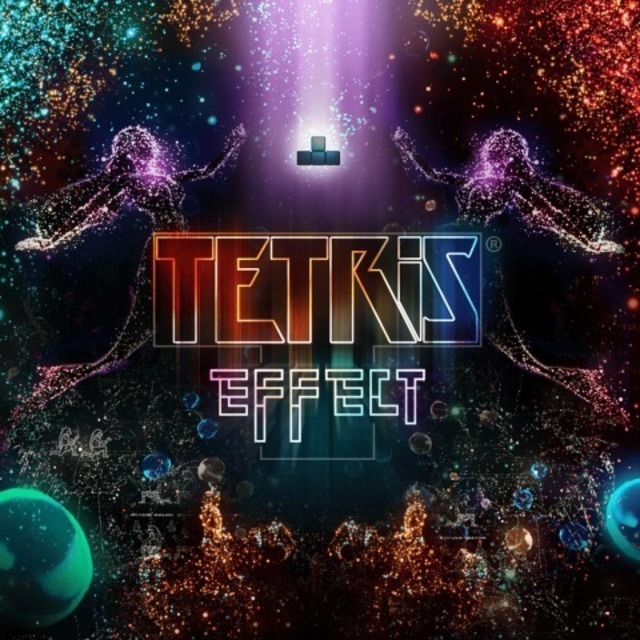 If you love Tetris like I do, a Tetsuya Mizuguchi fan, or heard about it but have never played it, you’ll want to clear your schedule and make a lot of time for the experience that is Tetris Effect. The classic was already addicting on its own, but Tetsuya Mizuguchi has heightened the addiction to an insane degree here, which goes even further with PSVR. You’ve been warned though, as once you’ve entered into this mesmerizing world of awesome images and sound, you’ll be hard pressed to put the controller down.